Held at the Grange St Paul’s Hotel, in the shadow of St Paul’s Cathedral in the centre of London, the programme included updates from leading experts from the poultry sector and beyond, as well as an update of the IEC work. During the Conference in London, IEC Chairman, Tim Lambert, spoke on ‘The Necessity for Global Interaction’. 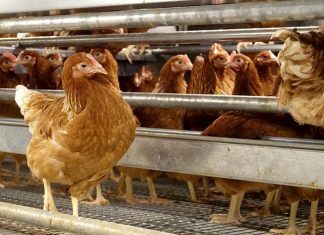 This announced the launch of Global Initiative for Sustainable Eggs (GISE) – which will support a range of ambitious sustainability objectives and help to deliver the organisation’s vision of continuous improvement. From the elimination of forced labour and the sustainable sourcing of soy to nutrition and to antibiotic resistance and better operational practices to mitigate AI, and other zoonosis – all aspects of GISE’s work have a humanitarian focus and benefit. The Practical Biosecurity Check List by the AI Expert Groups, first on-farm tool in fighting the threat of avian disease to egg businesses, was adopted as the global minimum in support of OIE standards. During the London Conference Professor Arjan Stegeman provided a detailed review the AI Expert Group’s latest document – Avian Influenza Vaccination: considerations and essential components. As it has been difficult to prevent the introduction of the virus, one alternative route is to immunize birds against it. Recently, the effectiveness and practicalities of vaccination have been widely debated. 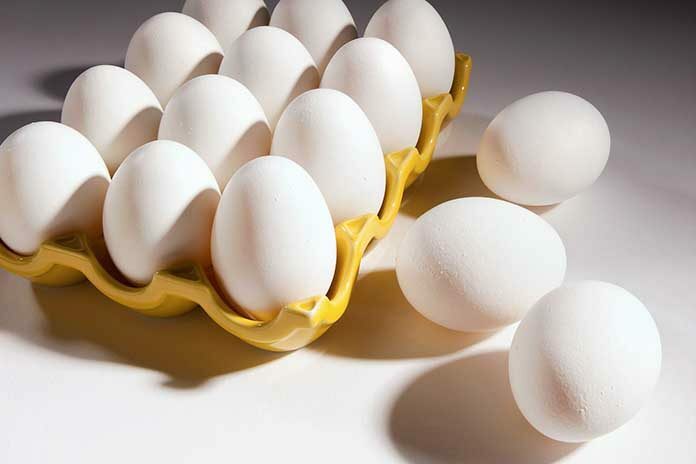 This publication has been produced to help the egg sector by providing a policy overview, outlining twelve considerations for vaccination. Across the two days, expert speakers provided their insights on industry issues; topics included retailer trends, with consumer goods business expert Jessica Moulton of McKinsey and Company offering her insights into the challenges that business models face. Her message was that established businesses face challenges from agile start-ups to millennials changing consumption habits. This theme continued the following day with Ignacio Gavilan of the Consumer Goods Forum outlining work that major food businesses are doing to end modern slavery and drive sustainability through the soy supply chain. Since the end of the Second World War, consumer goods businesses have enjoyed an “unusually stable” business model, according to Jessica Moulton. 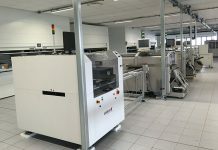 However, the steady growth enjoyed by many in the sector is being challenged by changes in consumer habits and pressure from both online retailers and discounter supermarkets. 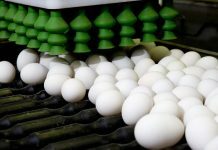 Millennials are a driving force in this change, she told the International Egg Commission conference. They are major users of digital technology, engage more with smaller brands and are focused on their health. “Millennials are spending six hours online every day”, explained Ms Moulton, “This has a profound effect on the way they relate to brands and make choices when it comes to consumer goods.” The generation that follows millennials is changing even more fundamentally, with many choosing not to learn how to drive and shunning alcohol, as an example. For brands, in the consumer goods market, it can be quite a sobering challenge. These consumers are seeking out new, “authentic” products that they perceive as more independent. Compared with Baby Boomers, Millennials are two thirds more likely to believe that newer brands are better or more innovative, two and a half times more likely to prefer shopping in independent stores, and four times more likely to say they would avoid buying products from big consumer goods stores. There has been an explosion in small brands as a result, explained Ms Moulton. In addition, brands that are perceived to be healthy, or better than conventional products are experiencing strong growth. Global Technology Director of Cargill Animal Nutrition presented his insights on strategies for the future. With the view that egg consumption will continue to grow as it is a high value / low cost protein source, Dr Antipatis emphasized the need to continue to close the gap between genetic potential and field performance of laying hens, and for further developing the integration of nutrition and farm management data to provide better and more accurate decisions on how to optimize production and profitability. Dr Antipatis concluded that further research into nutrients, feed ingredients and additives as well as the continued interaction with farm management would help develop these objectives. In the second of the feed presentations, Rabobank’s Nan-Dirk Mulder focused on the egg industry’s perspective on future feed grain supply chains. Mr Mulder began his feed grains global outlook, posing the question “are we entering a new normal after a decade of volatility or pending a perfect storm”? His insight for the short term was that we would see relative price stability in the new market reality. He summarised “Fundamentals are balanced and limited price upsides are to be expected; the US and Black Sea region outlook is positive; additionally price volatility is lower than previous decades due to reduced biofuel impact; whereas in China the pending import tariffs might impact US plantings for new crop year”. Looking at potential trade turmoil, Mr Mulder commented that the pending China – US import tariffs on soy bean could have a major impact on this and other commodity markets, stating China and soybean export prices will go up and the rest of the world will face lower prices. For the long term strategic view, Mr Mulder concluded that the industry needs to be prepared for a return of volatility, additionally more alternative options were needed in terms of feed crops use and terms of feed grain trade. The second day opened with analysis of the North American egg industry in transition from Professor Hans Wilhelm-Windhorst, the IEC’s statistical analyst. Professor Windhorst compared the transformation from conventional cages to alternative housing systems in Canada and the USA, and also covered the impacts of the AI outbreaks in Mexico and the USA on egg production and egg trade, documenting strategies to prevent further massive outbreaks of AI, concluding with an outlook on the future development of the egg industry in the three North American countries. Peter van Horne, IEC Economic Analysist introduced the IEC’s new initiative to collect animal welfare legislation from around the world into a database for IEC members. 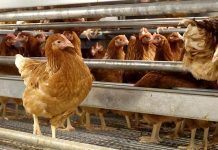 This comprehensive database provides an overview on animal welfare legislation and codes of practice, specifically relating to layer hens, and includes layer housing legislation. Bad news drowns out good news, and fake news spreads faster than real news – but economically speaking there are many reasons to be cheerful, according to leading economist, Professor Trevor Williams, former Chief Economist of Lloyds Bank Commercial Banking. Speaking at the IEC Conference in London, Professor Williams said that despite risks emerging almost wherever one looked, many fundamental economic principles were positive.